UPDATE: Event was canceled due to incoming storm. Your Last Chance to Play at PopUp Play Zone Before They Close for the Season! 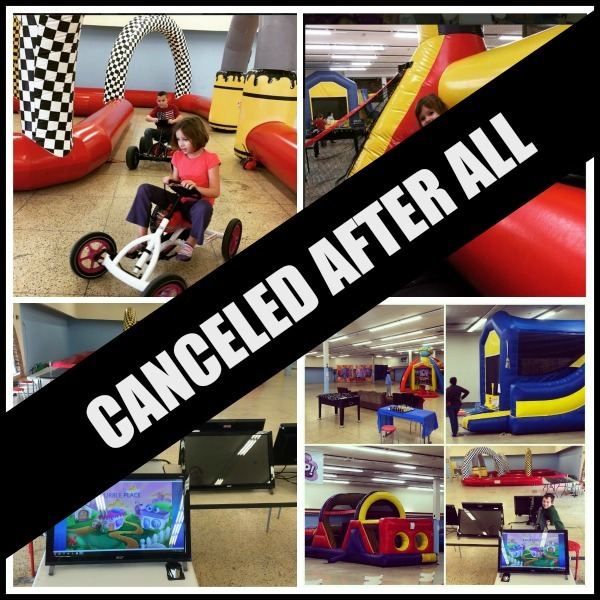 After being snowed in tomorrow during the day, head to PopUp Play Zone from 6-9pm for a fabulous family bounce night! The February 21st Saturday Night Bounce & Play Party at PopUp Play Zone is happening, no matter the weather. Get the kids out of the house for some cozy, crazy indoor play! Enjoy the best family night out in the DC area at the PopUp Play Zone at the Plaza Del Mercado in Silver Spring. There will be inflatables (lots of them! ), big screens with games, STEM activities, indoor go-karts, sports activities, arts and crafts and more will make for an incredible night. This is your last chance to enjoy PopUp Play Zone before it closes for the season. Skip the kitchen and the snowy grocery run – PopUp has your dinner covered. There will be pizza and drinks for purchase, as well as Carmen’s Italian Ice for sweet cold treats, too. A whopping 50 percent of the $15 per kid entry fee at PopUp Play Zone will go to Silver Spring public school Stonegate Elementary for their fifth grade promotion activities. You can purchase your entry ahead of time online here and breeze past the line! Or you can purchase tickets the night of, either way. Come out tomorrow and invite your friends. My family and I will be there. Mention this blog post and score an Italian ice on me!